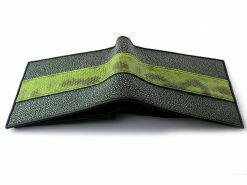 A signature series snakeskin and stingray wallet exclusive to Real Mens Wallets. A perfect combo of contrasting sleek and smooth stingray with a band of walnut color water snake with wild and wavy patterns. 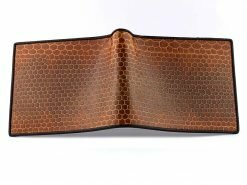 Inside is a brown calf skin interior including ID flap. A unique creation from RMW not to be seen anywhere but here. 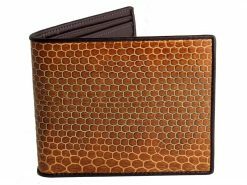 When it comes to mens wallets we love to innovate as you can see with this clearly winning combination. What better match could you have for a casual day out or a formal function? Something to show that although you’re down with the dress code you’re still confident enough to express your individuality. 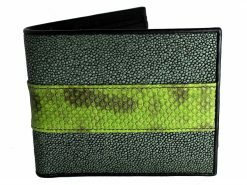 Wallets for men with character.